Spring is here and that means new design books are on the way. 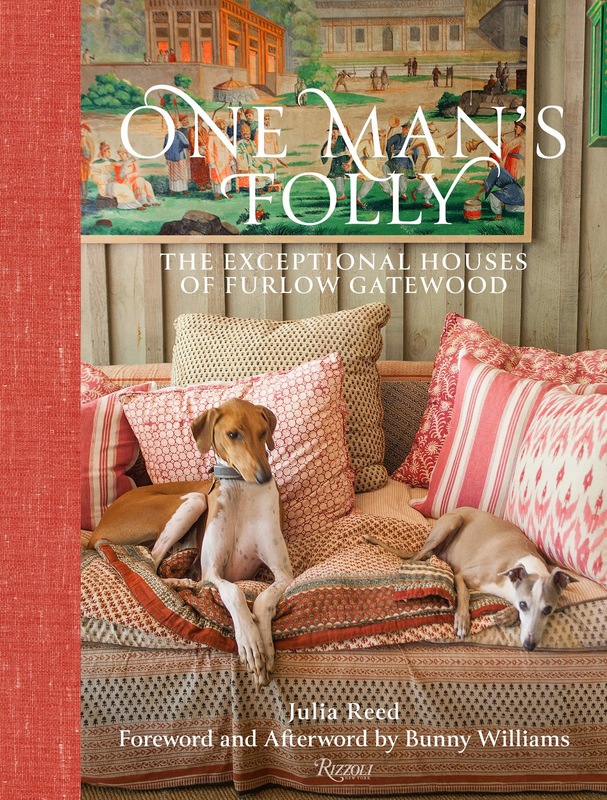 The book that’s sure to be a visual feast is One Man’s Folly: The Exceptional Houses of Furlow Gatewood written by the talented Julia Reed. Mr. Gatewood worked with Bunny Williams and John Rosselli in New York for may years; Bunny wrote the forward for the book. His personal home in Americus, Georgia was featured in Veranda last year and created quite a buzz. I would love to visit Mr. Gatewood’s home and learn more about this talented man. Oh, did I mention that Furlow is 92! He is an amazing talent and could teach us all something new. I love his use of antiques, old quilts, worn rugs, painted floors and blue and white. Order our new inspiration for the season, and take a sneak peek at Pinterest thumbnails.